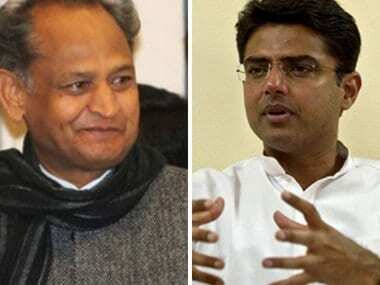 As suspense still looms on who will be the new chief minister of Rajasthan, it is being reported that Congress president Rahul Gandhi has summoned both Sachin Pilot and Ashok Gehlot to New Delhi to discuss and decide on the final name for the post. 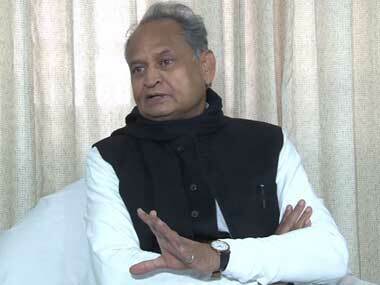 Earlier, it was being reported that the Congress delegation would meet Governor Kalyan Singh at 7 pm on Wednesday to stake claim to form the government in Rajasthan. The delegation was to be headed by the leader of the Congress Legislature Party (CLP), who would be the chief ministerial pick of the party as decided by Rahul after getting feedback from the newly elected MLAs. "We have a full majority and will stake claim to form the government in the evening. 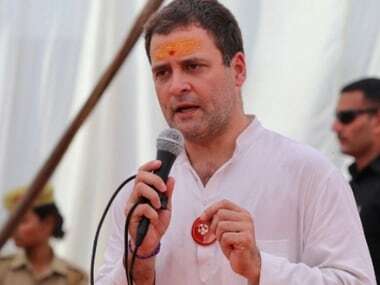 We will take along all non-BJP parties and elected members who are against the BJP and are willing to support us," Pradesh Congress Committee president Pilot told reporters at the state party office before the Congress Legislative Party meeting. AICC general secretary Avinash Pande and party's observer KC Venugopal sought individual opinions of the party MLAs at the meeting. However, as per a PTI report, Congress MLA Vishvendra Singh had expressed disagreement over the process of seeking the opinion of party legislators to select the chief ministerial candidate in the state when party chief Rahul was to decide the face for the coveted post. The CLP in Rajasthan on Wednesday passed a single-line resolution authorising the party national president to decide the name of the chief minister. "What is the point of seeking an individual opinion from the MLAs when the decision is to be taken by the party high command? Why would I waste my time in giving my opinion to the party observer?" Singh asked after attending the CLP meeting. "This is just a point of disagreement but I am not annoyed or unhappy with the party. I agree with the resolution that the party high command is authorised to take the decision but the exercise of the party observer meeting individual MLA to seek their opinion has no worth because the decision has to be taken by the party high command," he told PTI. 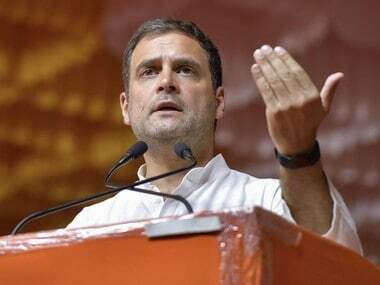 Meanwhile, earlier on Wednesday, Congress lawmaker Parasram Mordia told reporters, "We have passed a resolution authorising Rahul Gandhi to take a final decision on the name of the chief minister. We raised our hands and passed the resolution. After that, individual opinion is being sought from the MLAs." Mordia said that when he was asked about his opinion, he said his choice was "high-command", meaning whatever the party president decides. 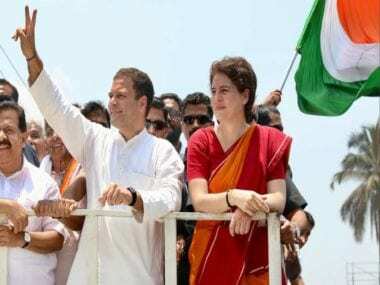 "The party has won because of Rahul Gandhi and he has to take a call on that," he said. MLA Shanti Dhariwal, who was the home minister in the Ashok Gehlot government, also said that the legislators were giving their opinion about the chief minister candidate in the meeting. Later in the day, supporters of both the leaders choked roads to the Rajasthan Congress headquarters as the party celebrated its victory in the Assembly polls and held discussions to pick the state's next chief minister. Similar crowds of party workers and supporters were witnessed a decade ago when the Congress got the mandate to form the government in 2008. Back then, Ashok Gehlot was picked by the party as the chief minister. However, on Wednesday, the supporters of both the former chief minister and youth leader Sachin Pilot were seen chanting slogans outside the Congress office. Amid the consultations at the Sansar Chandra Road office, some Pilot supporters shouted slogans even as a large number of policemen were deployed outside the party office. MLAs loyal to both Pilot and Gehlot have been in touch with the two main contenders since the results came in on Tuesday. Some rebel MLAs who contested as independents after being denied the party ticket were in touch with Gehlot, party leaders said. The Congress won 99 seats and its alliance partner Rashtriya Lok Dal got one out of the 199 seats for which elections were held on 7 December. The House has 200 seats but elections were put off on one seat because of the death of a candidate. The party is also looking for support from independents MLAs and non-BJP parties. And in response to Congress' offer to work with like-minded parties, Bahujan Samaj Party (BSP) chief Mayawati, whose party has won 6 seats in the state, offered support to the Congress in Rajasthan as well, apart from extending support in Madhya Pradesh. In 2013, there was a pressure from the Jat lobby for a chief minister from the community, but Gehlot who comes from the Mali community was finally picked. Apart from Congress, BJP and BSP, CPM secured two seats, Independents won 13 and other parties got six seats, according to the Election Commission.